An incisive, laugh-out-loud contemporary debut about a Taiwanese-American teen whose parents want her to be a doctor and marry a Taiwanese Ivy Leaguer despite her squeamishness with germs and crush on a Japanese classmate.At seventeen, Mei should be in high school, but skipping fourth grade was part of her parents’ master plan. Now a freshman at MIT, she is on track to fulfill the rest of this predetermined future: become a doctor, marry a preapproved Taiwanese Ivy Leaguer, produce a litter of babies. And with that line, American Panda understood me in a way no book has before. I’m making all my Chinese-American friends (both who read and who don’t) to preorder this book because it is exceptional. Although we only see the experience of a Chinese-American through the lense of one teenage girl, I believe there is something – whether it is stinky tofu, matchmaking, or dreams of being a doctor – that a Chinese-American teen can relate to in Mei’s story. 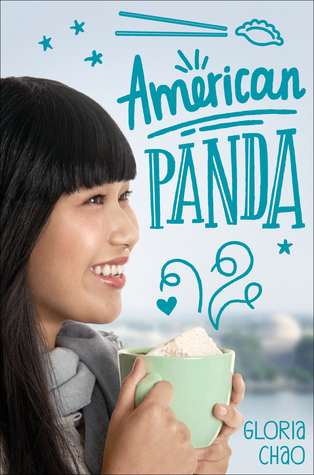 American Panda is superbly written, with hilarious dialogue and equally witty inner monologues of Mei, a seventeen-year old who is college-bound to MIT. She’s intelligent and checks off all the boxes for Obedient Taiwanese Teen™. She’s on the premed track and meets her parents once a week (if not more) at Chow Chow, a restaurant they frequently eat at. She’s shy. She’s the child that her parents are piling their dreams on after they disowned her brother. But at this turn of her life, Mei is experiencing an internal conflict that continues to grow as she meets new people and experiences new things in college. I loved Mei from the very first page. She’s not exactly a size 0 (size 8 – same as me!) and her body size is remarked upon when she’s at Chow Chow by her mother. As well as her large nose. And futures of being a doctor. And matchmaking prospects. Her mother is seen as chastising her because of the way she looks and acts throughout their meetings, which hits really close to home. Although my parents are not as strict as Mei’s, my mom and dad treasure traditional values like them, and that has made growing up in America quite hard at times. To Mei’s mom, her future is as a doctor and with a Taiwanese doctor husband. But Mei has other things in mind. For one, she’s a germaphobe and really, really dislikes biology and anything related to it. (She even tries shadowing students and physicians to no avail.) She also has a passion for dancing, which is a total no-no from her family. American Panda really resonated with me because it breathes life into the stereotypes that Asians (South, Southeast, and East Asians especially) are known for. Yes, there’s a main character that studies really hard and is shy/introverted and follows her traditional parents. But she’s more than that – as we are all more than our stereotypes. Her values come from her family, and her family’s values come from a culture from a land they left but whose ideologies they carry in their hearts. I think the biggest surprise in this book was Mei’s mother’s character development. Originally I thought she was there for comedic and plot purposes, but her character turns quite three-dimensional as we continue reading. There is also a large focus in Mei’s life on politics – that is, familial and community politics. Readers witness the humble bragging of matchmaking mothers and how much families will sacrifice in order to get the desired offspring they want. There’s an exploration of different levels of “strictness” in different Chinese households (no two are the same), as well as how that affects the way their children grow up and live. And while Mei is balancing potential relationships (friend and romantic-wise), as well as the family politics going on, the majority of the book is about her growth and experiences as a teen in college. And that’s what I loved about it. Mei is an amazing character. I see small bits of myself in parts of her, even though we’re quite different. She finds herself struggling between the strict upbringing of her parents and the freedom that the future has to offer. This is further exemplified in her growing crush on a Japanese classmate, Darren, and her shaky relationship with her disowned older brother – all a testament to how her parents have “failed” to mold her into an Obedient Taiwanese Teen™. But with the help of family and friends, she finds her footing and shines like the outstanding panda she is. While the book isn’t focused on Mei being at college, the little glimpses we get of MIT are wonderful. We learn about traditions and places through Mei, as well as hilarious situations that – of course – only a freshman could get into. These scenes were wonderful, and make me thirsty for more YA set in colleges. I’m so excited for American Panda to be published, and for Chinese-American teens to see themselves in it. (And if not themselves, then a bit of their culture.) It takes well-known Chinese stereotypes and transforms them into realistic characters and situations that offer a glimpse into a Chinese teen’s life. And while it’s not representative of all Chinese teens, I do so hope that we can see more Chinese-American characters on the covers of contemporary YA and their stories. 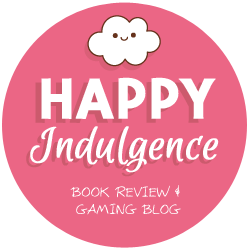 Thank you Netgalley and Simon Pulse for the review copy! Ahhhh this is one of my most anticipated reads of 2018!!! It’s so good to hear that you loved it so much and that you were able to relate to Mei. This looks like such a great book and I LOVEEEE your sketches!! I had my doubts about this book, but now I am sure I want to preorder it! 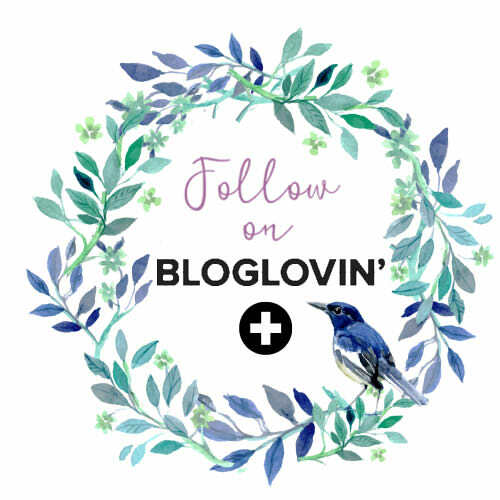 Lovely review, and I love the picture you took! Thanks so much for your kind words, and I hope you like it! I am even more excited for this one since you enjoyed it so much! It sounds fantastic and I can’t wait to get my hands on it. Amazing review, Aila! I’m so happy that you could see bits of yourself in this beautiful book, I love it when people can relate to the stories. I can also see how the part about growing up in America is quite hard. Especially with parents that cherish traditional values like yours and the MC’s parents. Which I’m no stranger to, as I also struggled with this with my parents. Growing up in America is quite hard, which many people don’t seem to really understand. Thanks for such a great review, I can’t wait to read it. I hope you have a lovely week, Aila. Aw Helena, thank you so much for your thoughtful comment! ❤ I really adored AP and hope many readers can see themselves in it! AHHHH THIS SOUNDS SO WONDERFUL, AILA. As a Chinese-Filipina (not the same as Chinese-American, but close, maybe? ), I am DYING to get my hands on this book. A lot of Chinese stereotypes ARE truthful and happen to almost any Chinese kid, but yes, there’s so much more depth to it than people assume, and it sounds like American Panda managed to finally get that message across. MY HEART IS SO HAPPY. Definitely close! I really hope you enjoy this one!! THANKS SO MUCH BECKY ❤ You are amazing and hope you love this one! Glad you liked this one. I just finished a Chinese-American family drama and I was a little disappointed only because I found it a bit boring. Perhaps this one will be better for me! So glad you loved it! Fantastic review, Aila! I’m so looking forward to read this book and I’m so glad you loved it! Thanks so much Raven! Hope you like this one! I love love love this book! It was so funny and I really enjoyed learning about a different culture. Mei’s character was seriously one of my favorite book characters ever, because she was so funny and she stood up for what she believed in. This is one of the best books I’ve read in a really long time! As soon as I’m finished with what I’m reading rn I’m jumping on this one! I love the cover and I was already excited about the story but your review made me even MORE so! Hope this one is a hit for you Lucille! It was 😀 I really really liked it! Hopefully there are more books written by Southeast Asian voices coming out soon Jamie, that you can relate to! 😀 Hope this one is a hit as well!